Global War on Terrorism Civilian Service Medal award are sold one per pack. The box set consist of the large medal, lapel pin, and ribbon mounted inside the presentation box. Manufactured in the USA. The GLOBAL WAR ON TERRORISM (GWOT) medal was established to recognize the contributions and accomplishments of the civilian workforce of the Department of Defense in direct support of the armed forces, whose members are engaged in operations to combat terrorism in all forms throughout the world. OBVERSE: On a bronze disc 1 1/4inches (3.18 cm) in diameter, a representation of the statue of freedom, from the apex of the Capitol, within a triangle bordered with three spears; on either side an arced branch of laurel and in base five stars. REVERSE: A polestar upon a disc emitting four arrowheads saltirewise, within the inscription GLOBAL WAR ON TERRORISM below and CIVILIAN SUPPORT above. OBVERSE: The statue of freedom represents the ultimate goal of operations in support of the Global War on Terrorism. The laurel branches symbolize honor and achievement. The five stars allude to the military services, and the triangle, which is the traditional symbol of civilian service, denotes support. The spears enclose and defend freedom and allude to support for military service. REVERSE: The disc represents a globe, with arrowheads suggesting that danger and terrorism may develop anywhere. The polestar is an ancient symbol of navigation denoting direction, preparation and planning. RIBBON: Medium blue is the color associated with the Department of Defense. Gold represents excellence and achievement. Black and red symbolize the threat and danger of terrorism. Red, white and blue, our national colors, are for patriotism and the love of freedom. A. GENERAL. Eligibility criteria for the medal are aligned as closely as practicable with that of the GWOT Expeditionary Medal awarded to members of the Armed Forces. President George W. Bush established the GWOT Expeditionary Medal by Executive Order 13289 dated March 12, 2003. (1) The medal shall be awarded to civilian employees of the Department of Defense, who on or after September 11, 2001, to a date to be determined, participate abroad in direct support of a U.S. military GWOT operation in a location designated as a combat zone. (2) The GWOT medal shall be awarded only for a military operation approved for award of the GWOT Expeditionary Medal for military personnel. B. SPECIFIC. Employees must be engaged in direct support for 30 consecutive days in a combat zone in an area of eligibility in a military operation (or the full period when the operation is less than 30 days duration), for 60 non-consecutive days in a combat zone provided this support involves the employee entering the area(s) of eligibility or regardless of time, be killed or medically evacuated from the area of eligibility while providing direct support in the designated operation. Under no circumstances are personnel in the United States eligible for the medal. (c) The air space above and adjacent to the area in which operations are being conducted. (2) QUALIFYING OPERATIONS. Significant U.S. military activities for which military personnel are awarded the GWOT Expeditionary Medal. (a) GUIDELINES. The GWOT Medal is authorized for all civilian employees who meet the eligibility requirements. (1) Direct Support is defined as services provided to participating military activities or armed forces in a military operation awarded the GWOT Expeditionary Medal only if the employee actually enters the designated area of eligibility. (2) Civilian Employee is an individual meeting the definition of employee under Title 5, United States Code, section 2105, and who would be eligible for awards under DOD 1400.25-M,Sub-chapter 451,Awards, including employees of non- appropriated fund activities. (3) LIMITATIONS ON AWARDING MEDALS. 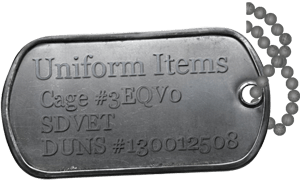 The medal may be awarded only to civilian employees of the Department of Defense and only for operations awarded the GWOT Expeditionary Medal for military personnel. The medal may not be awarded to contractor personnel. The medal may be awarded only once to a civilian employee for service to a GWOT military operation. An employee may not be awarded both the GWOT medal and the Armed Forces Civilian Service Medal for the same operation. A contribution to or support of a GWOT military operation by employees assigned to remotely located activities, e.g., outside the areas of eligibility, is not justification for award of the GWOT Medal. Such performance or contribution, if merited, may be acknowledged by other appropriate recognition. (4) POSTHUMOUS AWARDS: The medal may be awarded posthumously and, when so awarded, may be presented to a representative of the deceased employee family. (5) RESPONSIBILITIES AND APPROVAL: Heads of DOD Components and the Director of Administration and Management for the office of the Secretary are delegated authority for the procurement, issuance, and administrative procedures for approval of the GWOT Medal for civilian employees within their respective Components.